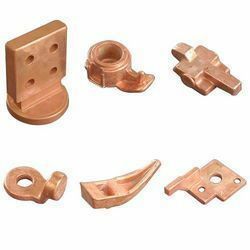 Leading OEM Manufacturer of ball forging and copper forgings from Coimbatore. 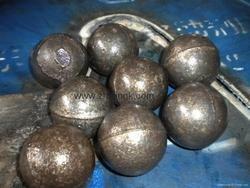 We specialize in manufacturing and supplying the best quality of Ball Forging to ensure customer satisfaction. Ball Forging are generally used in applications where the high integrity of the part is of utmost importance. They are used primarily for structural components such as the intake (front end) of Gas turbine engines where light weight is crucial. The aluminum components we manufacture range in weight from a few ounces to a few hundred pounds, and are forged into a wide variety of shapes and sizes with or without cores. These can be customized as per our clients need and the prices are very customer centric. Looking for Non Ferrous Forgings ?